Looking for something fun to do with your family this weekend? Look no further! There are plenty of fun activities in and around Boulder this weekend, including a NEW exhibit at CU’s Natural History Museum, the Dougherty Museum’s annual farm show, Lyons Zero Waste Concert & Carnival, Movies, Camping, Art and so much more! In the wild world around us, everything is connected. Curious Connections in Nature is a new exhibition at the CU Museum of Natural History that delves into these connections through hands-on activities, multi-media displays, and specimens from the Museum’s collection. The exhibition highlights symbiosis in our bodies, our backyards and beyond. Discover the role of the prairie dog in Colorado’s grasslands, learn about the microbes we host in our bodies, and explore the amazing world of lichens, diatoms, and much more. Cost: $5 for adults and $3 for children ages 6-12, Children 6 Years and Under are FREE. The Yesteryear Farm Show at the Dougherty Museum features working displays of antique tractors and farm machinery, steam engines, stationary engines, threshing and baling demonstrations, blacksmithing, spinning and weaving, square dancing, even an ice cream social! There is no parking fee, and entrance to the show is also free! Food and soft beverages will be available. For the full schedule, click here. You’re never too young to be eco-friendly. 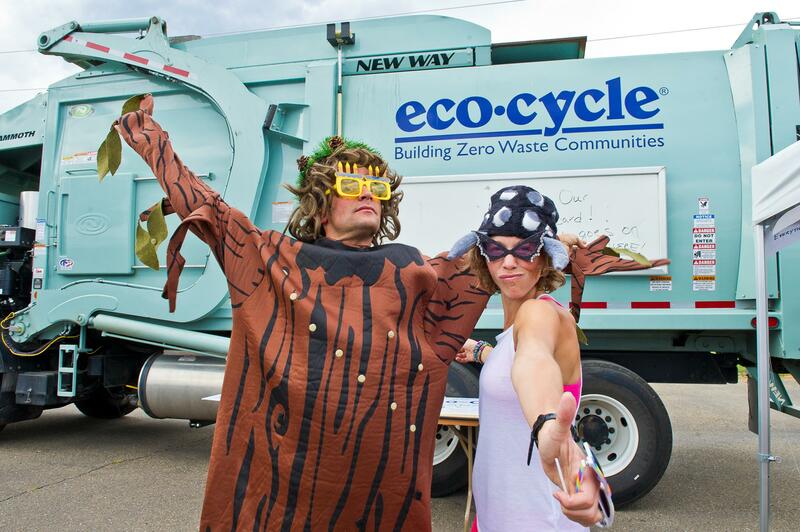 In its latest effort to become a Green Star Zero Waste community—that is, to achieve 90 percent recovery of discarded goods by waste reduction, composting, and recycling—the Town of Lyons is courting its littlest tree-huggers with this family-friendly environmental fair. Take in a festival full of acrobats, face-painting, and Zero Waste-themed games and educational booths, then stick around for the headlining act: a performance from kids’ entertainers Jeff and Paige featuring new songs and skits written just for this event. Art Stop at the Boulder Museum Of Contemporary Art provides free, hands-on art making for families during the Boulder County Farmers’ Market. Held outdoors on the front porch of the museum, creative inter-generational projects are designed to complement exhibitions within the museum, as well as the colors, shapes, and textures of the market. Don’t forget to visit the exhibitions inside the museum. Admission is always free during the market! Kiddie Academy of Erie invites children and their parents to Storytime LIVE! where Curious George jumps off the page and visits the classroom in person! Attendees will enjoy a story highlighted by a visit from the story’s lead character, Curious George. Storytime LIVE! is open to everyone – current students, new friends who would like to learn more about us, or anyone who would simply like to share a special experience with their child. Light refreshments and educational activities for children and families will be provided.